The Raptor ambidextrous charging handle is a truly revolutionary in design & function. From rapid palm “blading” or finger thumb charges of the weapon, the motion is fluid & fast from either strong or support side. 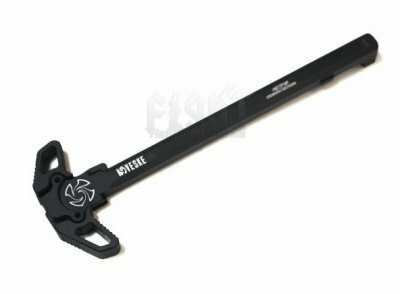 Made from aircraft grade aluminum, the Raptor Ambidextrous Charging Handle is built to last!